H&A Nemo Bubble Bath Review. Bath time is the most amazing part of the day - especially when your a toddler. Jack loves bath-time, especially as he doesn't have one as often anymore, dermatologist choice not mine. You will often find Jack hovering around the bath, or even getting his step and climbing in with his clothes on! When I saw the opportunity on Tots100 to review H&A Finding Nemo bubbly bath, I thought it was a good opportunity. My main reason for thinking this was a good opportunity is that H&A is hypoallergenic and demagogically tested. ' It has been formulated to care for your child’s delicate skin, is safe for newborns and so gentle it can be used everyday.' Due to Jacks excema I thought it would be a good opportunity to see how it made his skin. Also, it was Finding Nemo and Jack loves Nemo so no better opportunity really. 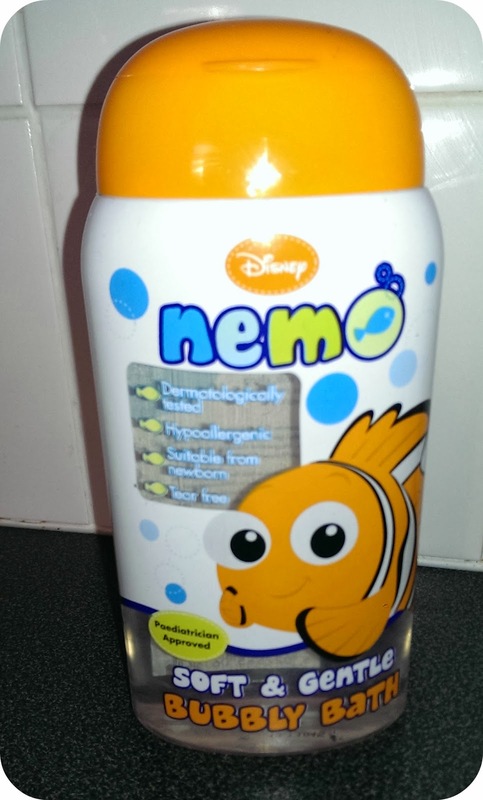 The bottle of H and A Nemo bubble bath is bright and colourful and of course has Nemo on it. Jack was attracted to it instantly and couldn't wait for it to be bath-time. So when bath-time arrived, I ran the bath as usual and added the Nemo bubble bath, and I was amazed at how quickly it bubble up under the running water. It also has a lovely light fruity scent. 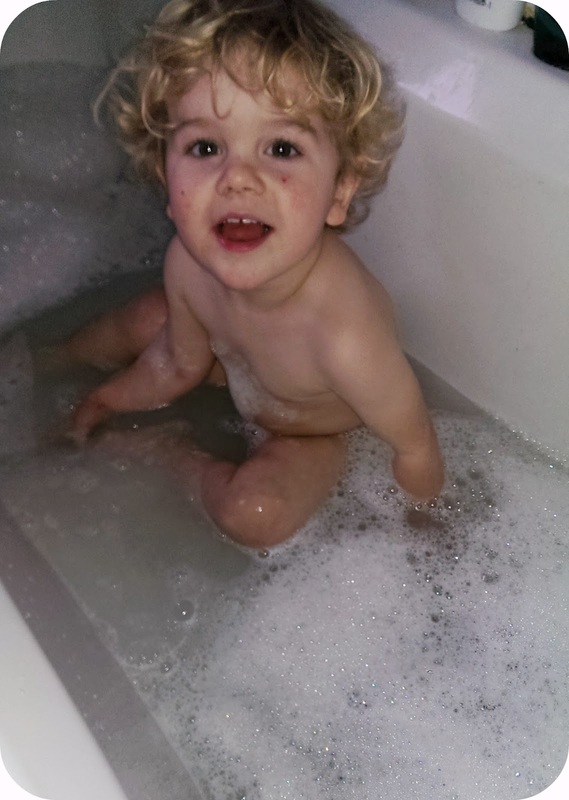 As Jack doesn't have bubble bath too often with his eczema he found it fantastic having the bubbles. After a couple of uses his skin still hasn't reacted to this - which is a good bonus! Another bonus to this bubble bath is it has a leak free cap, perfect for inquisitive toddler. Many a time I have discovered shampoo or bath soap all over the floor, sink or in the bath. Jack loved bathtime with the H&A bubbles, and it was a great struggle to get him back out of the bath after his maximum 10minutes. Jacks skin was lovely and soft when I fetched him out of the bath. The H&A Finding Nemo bubbly bath has been very welcomed into our bathtime routine. H and A are the new sponsors of Tots100, H&A began in 1988 when Angela Hall and a small team began developing products for supermarkets. They are a UK based company in York but supply all around the world. This is our entry into the Tots100/H&A bathtime fun squad competition. We would love to become one of the ten chosen blogger ambassadors for H&A Bathtime Fun Squad. All photos and opinions on this post are my own. So pleased he hasn't reacted to it, it must be a worry for you when using new products.